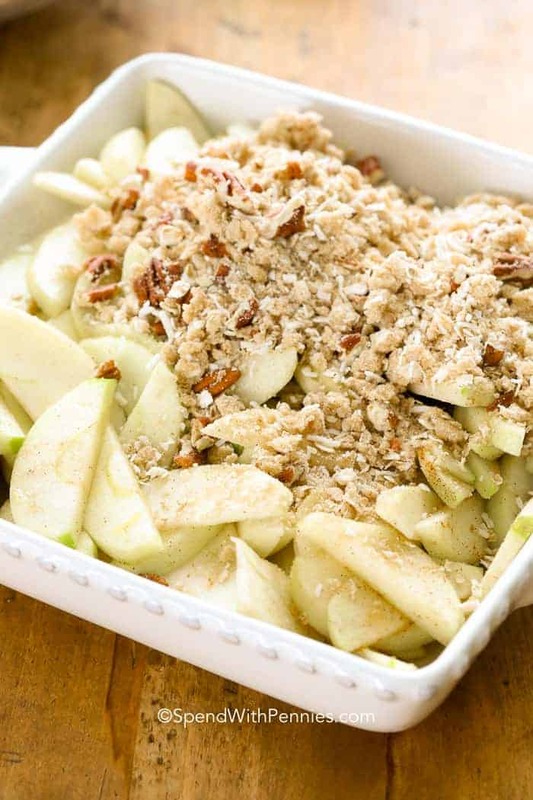 Sweet and tart cinnamon kissed apples are topped with a buttery brown sugar oat topping. I love to add in crushed pecans to bring together a the perfect blend of flavours and textures! 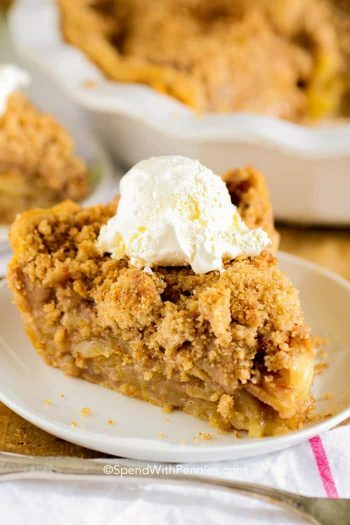 Homemade Apple Crisp is happiness in a pan and is sure to become a favorite in your home too! Cobbler vs Crisp, what’s the difference? My mom made crisps, cobblers or apple betty all of the time. There are subtle differences to these desserts which seem to have been created due to the lack of certain ingredients at the time, such as lard for pastry, and replaced by things like rolled oats which may have been more available. COBBLER: A cobbler tends to have a biscuit or pie dough topping, but there are variations where the biscuit base is on the bottom of the fruit layer. 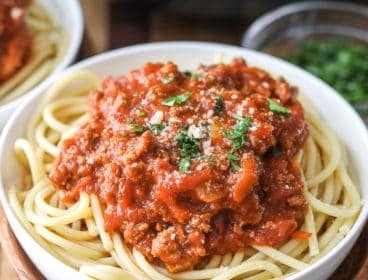 BETTY: A betty is uses breadcrumbs or cubes for the topping. This, as the breadcrumbs absorb the fruit juice as it bakes, becomes a bit more like a pudding. CRUMBLE: A crumble seems to be the most similar to a crisp with a combination of flour, fat, sugar and oats. CRISP: A crisp has a topping made up of a combination of butter, sugar, spices, nuts and oats. 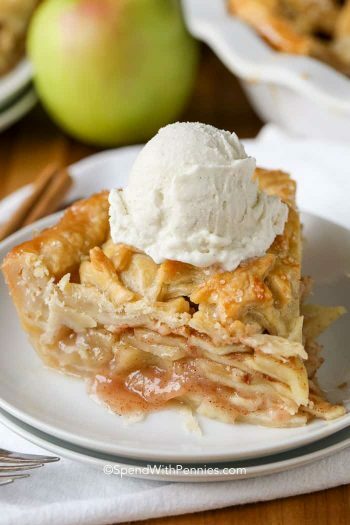 While we often hear the term easy as pie, making Apple Crisp is even quicker and easier than pie! The topping of any fruit crisp dessert is my favorite part so I always add an extra generous portion! Butter is cut into oats, brown sugar and a bit of flour to form coarse crumbs. I then stir in nuts and coconut. 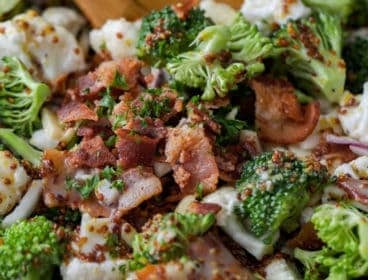 The topping is pretty versatile, you can add any kind of nuts (pecans or almonds are favorites) and or use all coconut if you prefer. 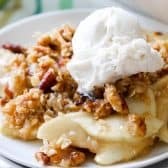 I personally use peeled granny smith apples for apple crisp as they tend to hold their shape well and don’t get mushy. I love the tart flavor paired with the sweet topping and a scoop of ice cream. If you prefer a sweeter crisp, you can use a sweeter apple or combine a couple of different varieties, honey crisp apples make great fruit crisp too! Can you Freeze Apple Crisp? Yes! 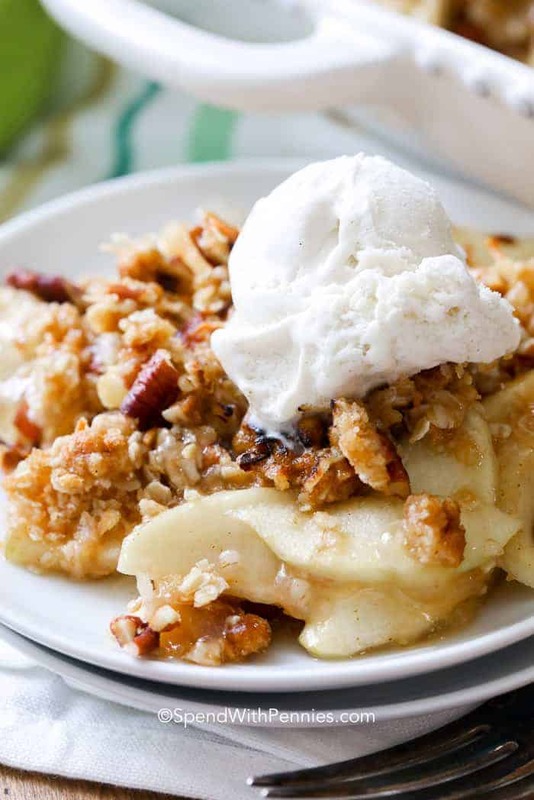 You can freeze apple crisp either before or after baking! 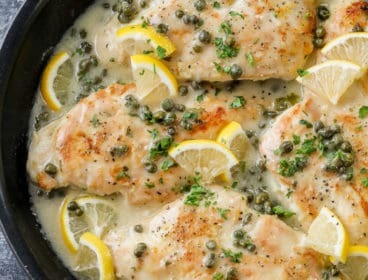 It will keep in a deep freezer for up to 6 months and in a top freezer for 2-3 months. 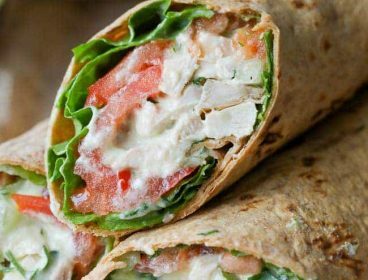 Allow the crisp to thaw first before reheating, and do so in a low temperature oven till just warm. What a great way to keep a dessert handy for busy nights or if company pops by unexpectedly. 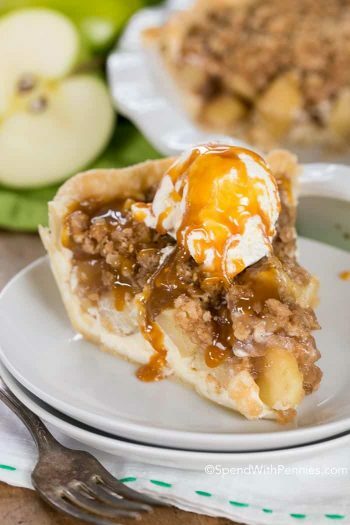 Apple Crisp is a wonderful dessert that is perfect for any occasion or any time of year! 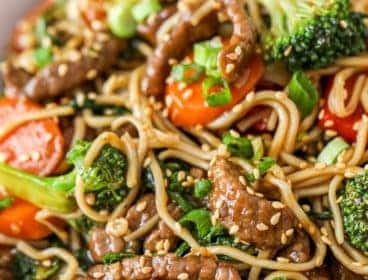 It is so easy to make and super delicious, you will definitely want to keep this recipe handy at all times! 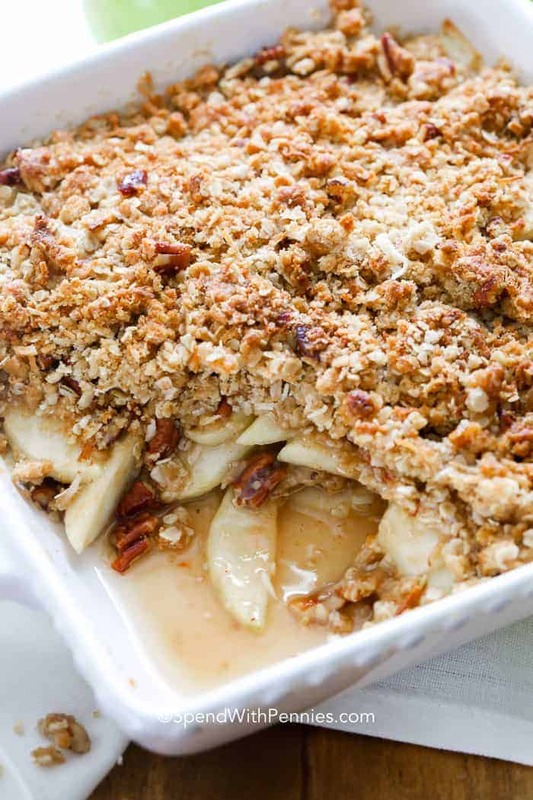 Tender juicy apples are topped with a buttery oat crumble topping for the perfect easy dessert. In a medium bowl combine rolled oats, brown sugar, flour and cinnamon. Blend butter into dry ingredients with a fork or pastry blender. Add pecans and coconut and combine well. 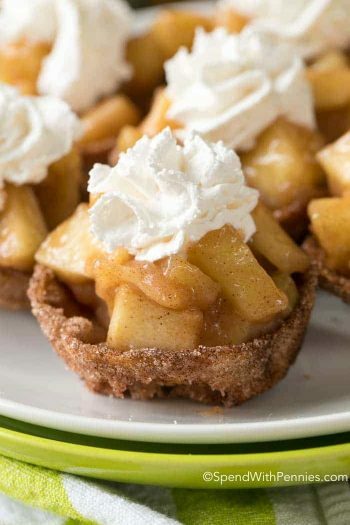 In another bowl, mix the prepared apples with the sugar, cinnamon and flour. 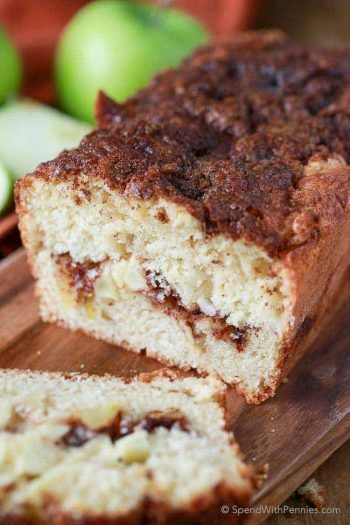 Bake for 30 minutes until golden and apples are soft. 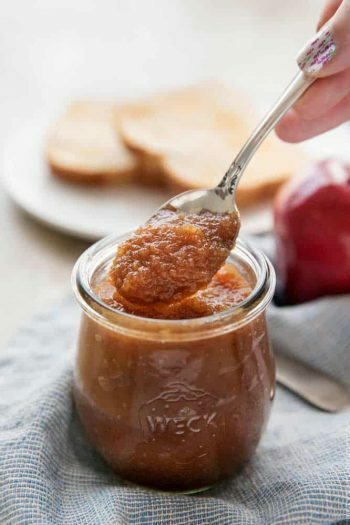 Homemade Apple Butter: Perfect for topping toast or muffins! The Best Apple Crumb Pie Ever: A classic apple pie with a delicious crumble topping. Apple Cheesecake Pie: The best of both worlds, a creamy cheesecake topped with a delicious apple pie filling. Baked Apple Pie Roll Ups (video): A quick and easy go to apple dessert. 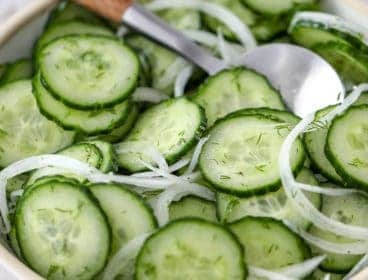 Creamy Apple Slaw Recipe: The perfect side for any bbq and the perfect topper for your favorite Pulled Pork Sandwiches! REPIN this Easy Crisp Recipe! 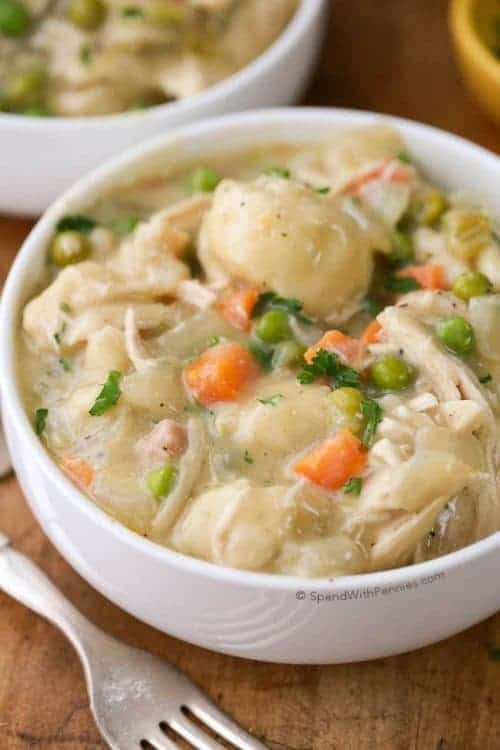 I use a 2qt or 8×8 dish for this crisp Sue.